Keto is all the rage these days. I have so many friends and family members that are currently living the lifestyle. So, I thought I would share a recipe that you could use this Thanksgiving and beyond. Keto cauliflower stuffing is really easy to make and is absolutely delicious. I actually LOVE to make cauliflower instead of potatoes. Or at the very least, I like to mix the two together while making mashed potatoes – nobody knows the difference! 🙂 Such a great way to bring in some vegetables into the mix. Low carb stuffing for the win! This low carb stuffing recipe serves about 8 people and is a real showstopper. 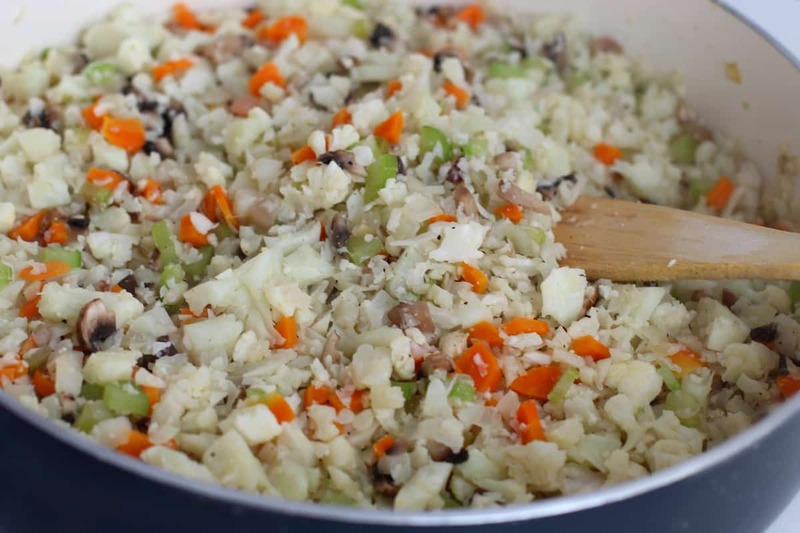 You need all fresh ingredients for this keto cauliflower stuffing and – of COURSE – it is a low carb stuffing. Naturally, we will stay away from anything that will kick you over your daily allotment. 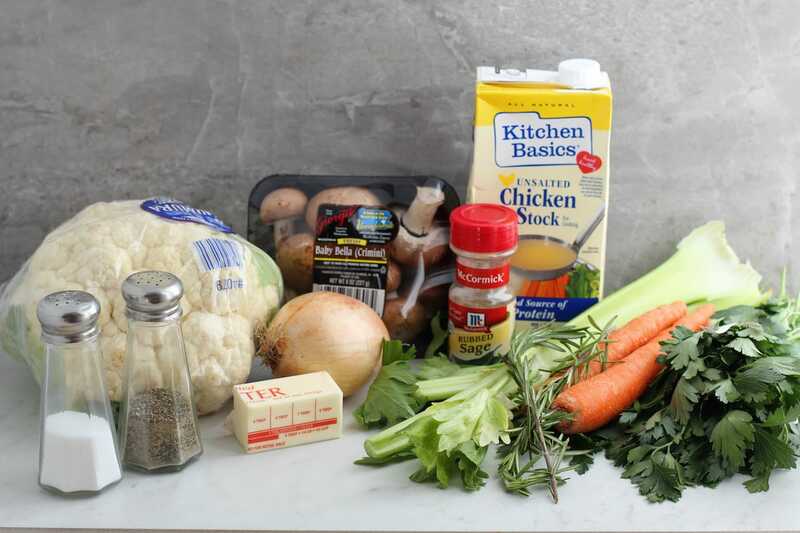 Ok, so the directions for this low carb stuffing are pretty simple. Chop, sautee, cover, and simmer. Then serve! Here’s the official break down. Melt butter in a large deep skillet over medium heat. 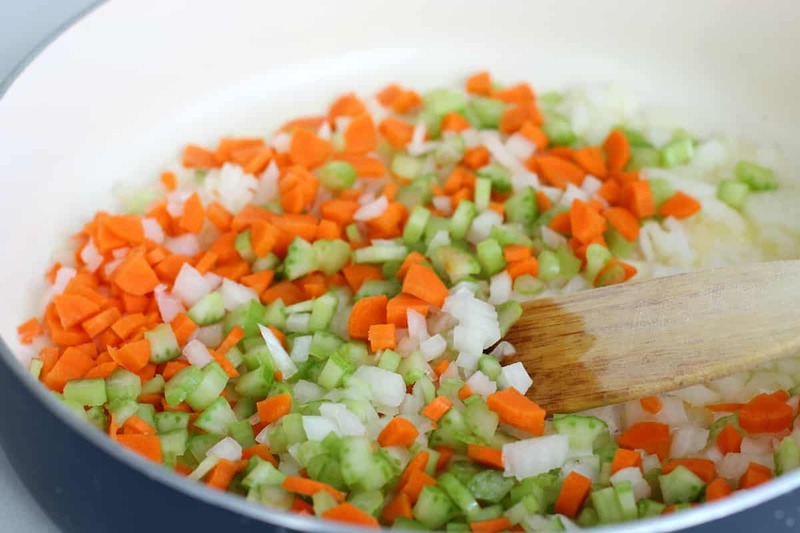 Add chopped celery, carrots and onion and cook for about 8 minutes, stirring occasionally. Add chopped cauliflower and mushrooms, and stir. Add salt and pepper and continue to cook for about 10 additional minutes. Add chicken stock, fresh and dry herbs and stir well. Taste and add additional salt and pepper if necessary. Cover and simmer until liquid is absorbed (about 12-15 minutes), stirring occasionally. Serve warm. 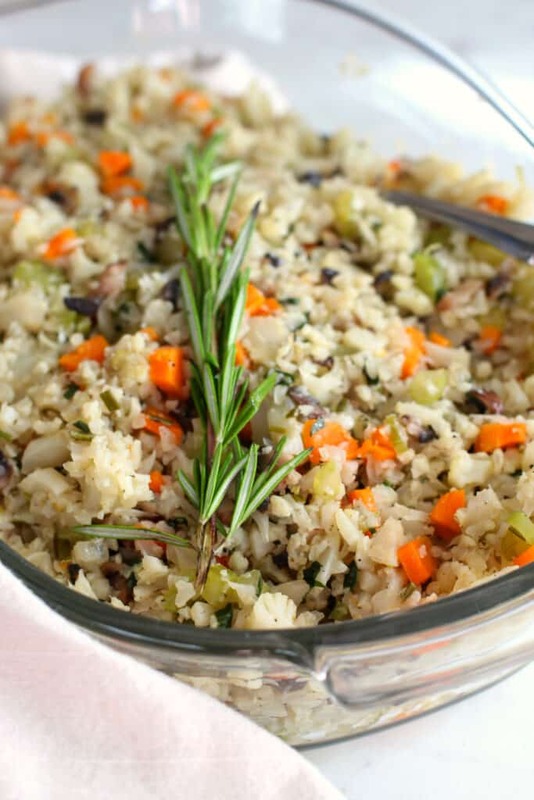 What do you think about this low carb stuffing recipe? Something you’re willing to try? Even if you aren’t trying to live a low carb kind of life, it will satisfy your needs! The low carb stuffing is absolutely delicious and hearty as can be. 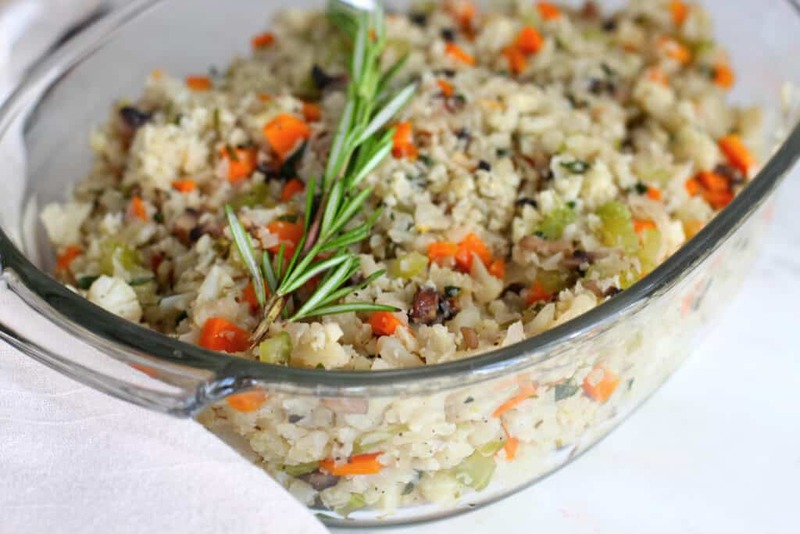 I know I am pushing out this recipe for Thanksgiving, but honestly, you can make this Keto Cauliflower Stuffing Recipe anytime you WANT. Don’t wait for the Fall. Low carb it all year long. I’m really going to try to be more conscious of how many carbs I eat during dinner moving forward. In the morning, it’s not that big of a deal for me, but at NIGHT I AM THE WORST OMG PLEASE SOMEONE STOP ME. LOL!! 🙂 Please tell me I am not the only one. Need more information about Keto? Do you need some help trying to understand the keto diet more? Here are some great reads to get you started! Melt butter in large deep skillet over medium heat. Add chopped celery, carrots and onion and cook for about 8 minutes, stirring occasionally. Also, do not miss these KETO Bacon Ranch Pinwheels from my friend! Want more Thanksgiving ideas? I have you covered! I need to try this! Looks so so good, Vera!